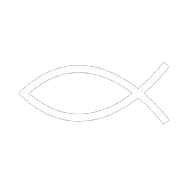 Availability: Open chat or call usEmail me when this product is in stock! 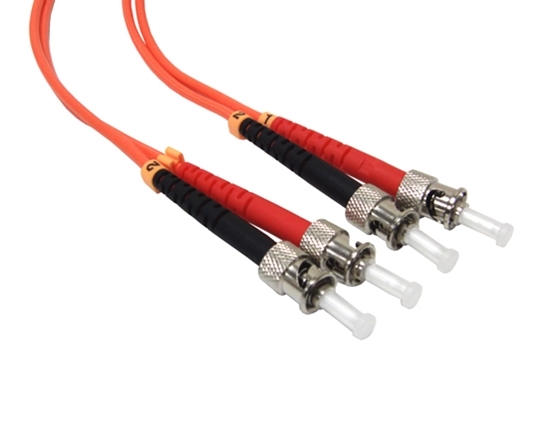 These multimode 62.5/125µm duplex fiber optic patch cables are terminated with ST fiber optic connectors on both ends (ST-ST). 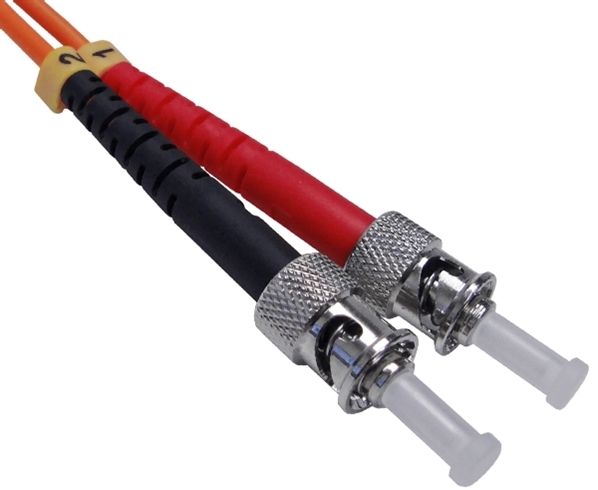 Straight Tip ("ST") connectors utilize a bayonet-style coupling type, enabling a simple twist-on and twist-off installation. 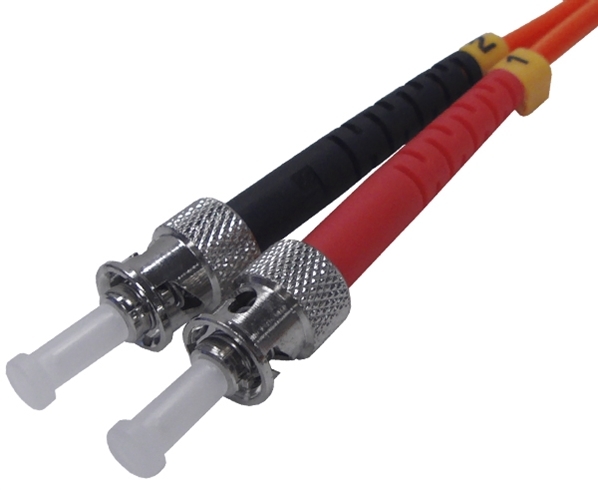 Our extensive range of fiber patch cables are terminated with state-of-the-art connectors, which are available in any combination of ST, SC, LC and MTRJ with PC, UPC or APC polish types to meet your standard or custom configurations. Our fiber jumpers have been geometrically inspected with interferometers and tested with automated insertion loss and reflection test equipment to ensure exceptional performance. To help complete your fiber optic network installation, we offer end-to-end solutions with our wide range of products that include fiber optic enclosures, fiber channel testers, splice trays and other fiber optic accessories.